Two posts in one day! That's not like me at all! But I have been so looking forward to posting this post... 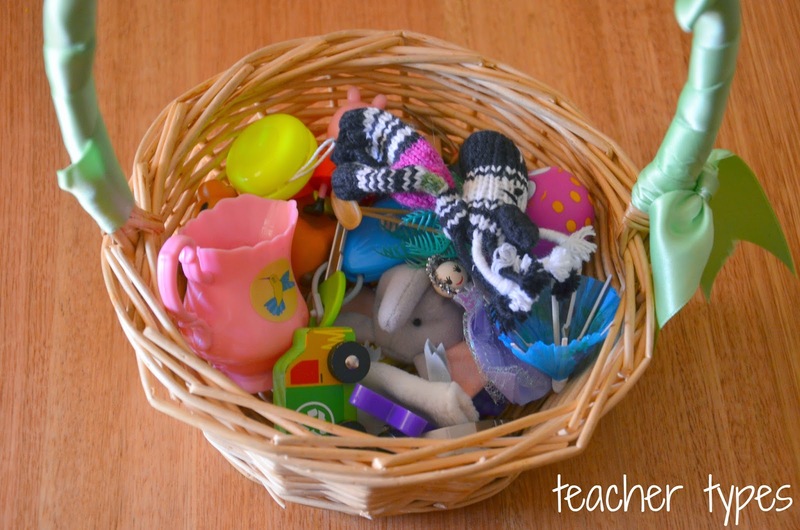 I hinted that I had something special in the works at the end of my Alphabet Treasure Baskets posts the other week - so here it is! 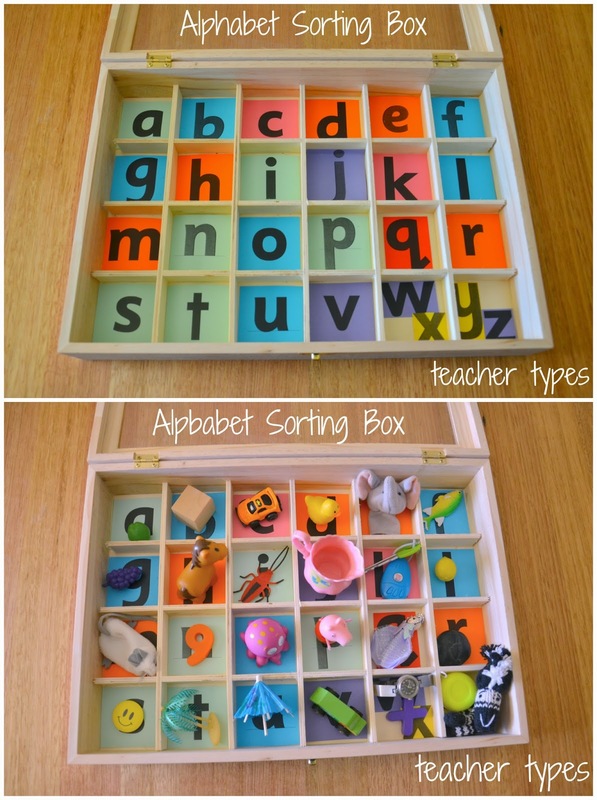 I call it the 'Alphabet Sorting Box', and it's designed to be used with children who have learnt most letters of the alphabet and can start to identify the starting letter of various objects. I'm planning to try it with my class towards the end of their first term or school, or start of their second term. It would make a fantastic partner or early finisher activity once introduced to the whole class. Now I purchased this box from Neds - as I really hadn't seen them anywhere else (so please leave a comment if you've seen anything like this in any other shops). The only issue with it is that it only has 24 boxes and obviously there are 26 letters of the alphabet. So you'll notice I had to double up on w/x and y/z. I really like how this activity is self correcting - meaning for example, if the child mistakes the queen for a 'doll' - and then go to place the duck in the 'd' box, they'll have to stop and think and consider where else the 'queen' might go. Another idea could be to turn this into a 'match the capital letter to the lower case letter' activity. Can't wait to try this one out at school with my class! Will leave a comment when I do and let you all know how it goes. Lauren I love this idea! I'm so pinning this for when bub is a bit older. Good work Toni! Thanks for stopping by! You have so many great ideas on here! As soon as my son gets a little bit older I'll be trying this one for sure. It's SO hard coming up with fun, educational activities to fill the endless hours every day! Thank you Lauren! Glad you have found some useful ideas. Here's a comment from a regular reader Anna - for some reason her comment didn't work! "Ohh I love this idea! 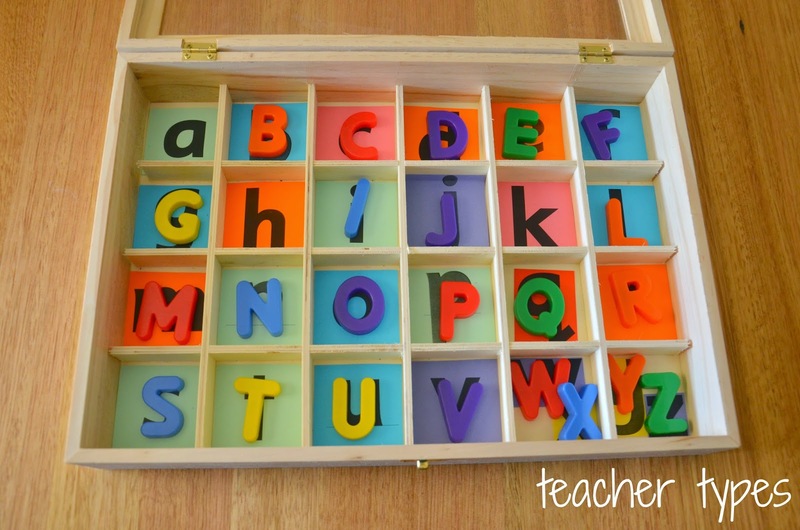 Perfect way to get kids to learn the letters... enjoy using it and can't wait to hear how it goes. Did you make all the little figures?!" Love this idea Lauren. 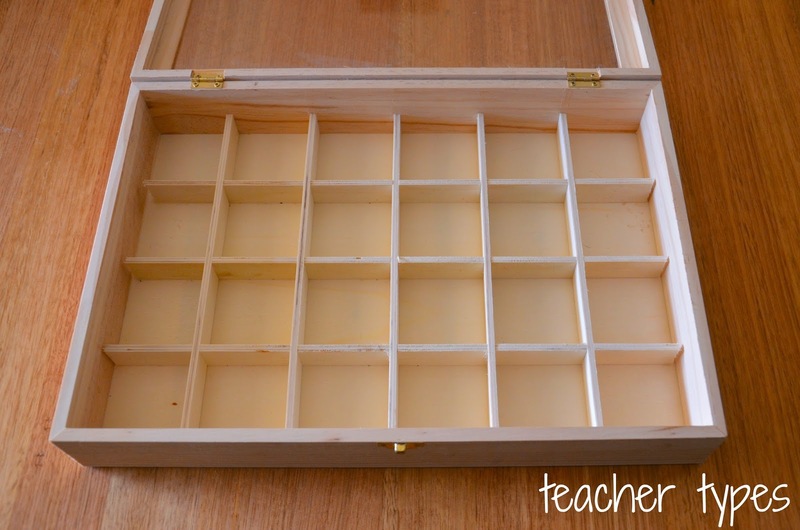 I've seen large versions of this activity that need lots of big boxes, but small is really appealing! I've got it scheduled to share on FB. Thanks for dropping by the Love to Learn Linky!